After years of working with Detroit small businesses, Jessica Bondalapati launched her own small businesses in order to know the ins and outs of running a business firsthand, challenge herself the way she saw other business owners being challenged, and create the lifestyle she wanted. As a value-driven consultant, Lady Bondo is dedicated to the growth of small business owners, non-profits, and individuals with big ideas. She focuses on "filling in your gaps" through organizational systems management, project management, team visioning, and more. In 2015, Jessica was named a Next City Network Urban Innovator and an American Express and Ashoka Changemakers Emerging Innovator for her work with Build Institute, an entrepreneurship training and support program. Since Jessica is all about living a balanced life, she started a business focused on playfulness and connections. 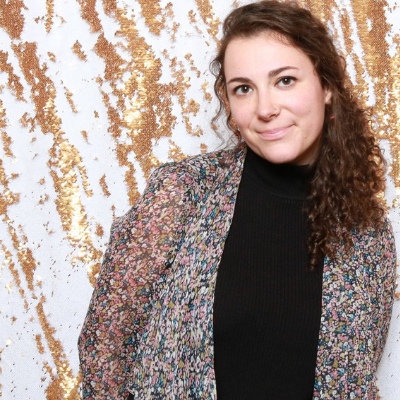 Bondo, a photo booth company, specializes in engaging and imaginative photo booth experiences geared towards nonprofit, community, and public events - but they love private events, too! When she joined the SheHive as a KeyHolder, she started Detroit Snake Oil as a way to cultivate meaningful experiences for others, create something with her hands, and share nature's power of healing through essential oils. When Jessica is not at the SheHive, she is on the board of the University District Community Association, loves exploring Michigan, and enjoys quality time with her husband and black cats.